In the U.S., it is common to see a supermarket cover as much area as large commercial airplane hangars. In fact, one store located in Ohio, Jungle Jim’s International Market, claims their selling space alone is over 200,000 square feet. That is more than four and half acres! It is so large the company offers guided tours. And this measurement does not even include the vast backroom and storage space. The movement to construct bigger supermarkets started in the 1990s and, in some ways, was fueled by companies’ desire to surpass their rivals. 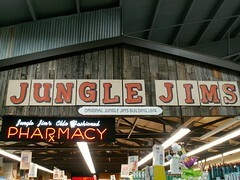 At the time, grocery firms usually saw promotional value in the increased size by stating larger stores carry more products (Jungle Jim’s claims to sell over 150,000 products) as well as claiming that just being bigger must be better. For many years, consumers bought into this. But now it appears the allure of bigger-is-better is beginning to wane. According to this story from Time, many grocery chains are shrinking the size of their new stores. It is believed the success of several smaller grocery chains, such as Trader Joe’s, Aldi and Whole Foods, is forcing grocery companies to reevaluate store design. In some cases, the new smaller designs are needed in order to open stores in urban areas where real estate is limited and expensive. However, for stores located outside of big cities the smaller footprint appears to be in response to changing consumer shopping patterns. Specifically, shoppers seem to be tired of exerting the energy and time needed to shop in massive stores. They now are looking for shorter shopping trips that do not require extensive walking and hunting among thousands of products. As would be expected, in order to squeeze into smaller spaces, grocery stores must reduce inventory. If the shift to smaller store layouts catches on, watch for a significant ripple effect up the supply chain. In particular, smaller space will make it more difficult for product suppliers to secure shelf space. It also may become particularly challenging for new, unproven suppliers to be accepted by grocery stores.